Happiness has become a central research issue in recent years, and this book brings together researchers from around Europe to present, analyse and discuss the relationship between happiness and social policy. Pierpaolo Perna finds a very informative and insightful collection of essays, and recommends it for policymakers, researchers and academics interested in combining economics, psychology and sociology. Happiness and Social Policy in Europe. Edited by Bent Greve. Edward Elgar Publishing. 240 pages. How does social policy affect happiness? Giving an academic perspective on a very fashionable policy trend most recently adopted by David Cameron, Bent Greve, Professor in Welfare State Analysis at Roskilde University in Denmark, takes us on an informative and intriguing intellectual journey across nine European countries that widely differ in cultural factors, institutional settings and government spending composition. Drawing on sociological, psychological and economic perspectives, twelve expert contributors provide arguments as to why happiness ought to be considered the ultimate criterion upon which welfare policies are to be put in place. According to Greve and his co-authors, happiness can be measured fairly easily and is an unproblematic and reasonable criterion that can help to inform policy decisions. Greve provides a framework that allows us to make welfare comparisons between countries, and when defining happiness he turns to Richard Layard, one of the most prominent British Labour economists, and agrees that happiness simply implies “feeling good, enjoying life and feeling it is wonderful”. Many would argue that this subjective definition of welfare is an improvement only to a limited extent on the classical, self-admittedly narrow economic notion of welfare measurement, where welfare is only measured in terms of directly observable indicators, such as consumption. Measuring happiness hinges on an even more stringent hedonistic view of life. While it frees us from a materialistic view of social performance, it can lead to dangerous policy implications. If the pursuit of happiness becomes the only aim, for example, freedom of choice may be hindered and profound intellectual activities (including meditation and religion, which are indeed associated with increased self-reported measures of happiness) may only be partaken in order to increase welfare, losing sight of more philosophical and moral aspects. Leaving aside these definitional issues, the book goes on to assess the effect of socio-economic variables on measures of life satisfaction in Europe. Bertrand Russell once suggested that “Italy, and the spring and first love all together should suffice to make the gloomiest person happy”. Conversely, the book shows that the Italian welfare regime (that well exemplifies many of the main issues in Southern European social policy) seems to spoil this idyllic picture due to a number of structural weaknesses: job mobility is low, entry into the labour market occurs at a late age and protection policies are fragmented. Marco Zupi proposes an economics of happiness argument as to why significant welfare gains can be extracted as a result of labour market reformism, and stresses the positive link that exists between job stability, or net annual income, and happiness. In this and similar environments, the social policy focus thus needs to recalibrate on unemployment and family. Education can be panacea, improving welfare through monetary and non-monetary channels. In this case, this approach has a point in stressing a further dimension to standard economic analyses, recognising the role of social policies in improving directly the living standards of people, regardless of the more long-run, growth-based arguments in favour of social capital development. In European Mediterranean countries, trust in people and in the government is to a large extent associated with much needed increases in happiness. Albeit for different reasons, similar considerations have led the UK to rethink the role of social policy and government intervention in general. Perhaps surprisingly, the average level of overall life satisfaction in the UK in 2006 was almost identical to that measured in 1946. For this reason, Bill Jordan attempts to provide a review of the alleged weaknesses of current mainstream models of public policy, whose assumptions very often hinge of restrictive notions of human behaviour. In his view, the economic crisis of the 1970 as well as the 2008 financial crash can all be attributed to of utilitarian interpretations of social phenomena and to the dominance of economics in the social sciences. Although right in many respects, Jordan fails to isolate clearly between the roles that economic theory plays in shaping institutions and the weaknesses of views of society that assume full rationality and information on the part of individuals. A number of economic theories do not in fact resort to the main axioms of neoclassical economics, which is what he is referring to. Neither Keynesian nor classical liberal perspectives, to mention two often opposed economic views of society, necessarily require such an individualistic and narrow view of human motivations. There are already established stances within the economic subject that allow for departure from the orthodox rationality and utility maximisation paradigm. 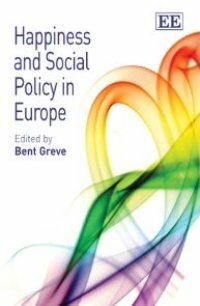 Nevertheless, the author suggests a radical culture shift based on non-economic arguments, where cooperation and mutuality among citizens become the focus of social policy analysis. Before radically rethinking the way we conceive the role of modern welfare state, it will be interesting to try and get insight from a successful case. Filip Fors’ main conclusion is that an extensive welfare state, such as the Swedish one, can at best have a positive effect on average levels of happiness, but not on equality of happiness. This counterintuitive empirical finding might follow from the fact that extensive welfare provides all groups in society with a sense of safety and stability. The author thus suggests that employed people may gain as much as the unemployed from insurance provision. However, where work ethic is strong, unemployment has an even larger negative effect. Moreover, the effect is exacerbated due to the autonomy of Swedish citizens from family and the market. And, we have seen, the picture is completely different from other countries within Europe: this is just one of the many reasons why we should be sceptical about drawing policy conclusions based on individual country data. Despite the very heterogeneous material that this book covers, it is a very informative and insightful review of the consequences of making happiness one of the criteria against which public policy is assessed. The book is thus most suitable for policymakers and academics who are interested in a new discipline that fruitfully combines economics, psychology and sociology. Pierpaolo Perna is a MPA student in Public and Economic Policy at the LSE, having graduated with First Class Honours in Economics and Politics from the University of London. During his undergraduate studies, he took part in various economic research activities and was a visiting student at Peking University, China. His research interests include political economy, public and labour economics.